Handsome evergreen tree. Small yellow sweetly scented flowers in summer. For tropical gardens. This Michelia is an attractive, ornamental, evergreen, evergreen, hardy shrub. It produces highly scented, sweet, perfumed flowers during late winter into early spring and spot flowering in late summer. Michelia Coco grows to 3 meters and is an ideal tub specimen but it is also perfect for screening or as specimen planting in any garden situation. It is equally happy in full sun as it is in filtered light competing very well with big trees. It will tolerate most conditions but will grow better in a well drained position. Soil type and condition will influence growth rate. This plant is an easy care plant, free of pests and disease and although it appreciated being most during summer it will tolerate dry conditions very well. 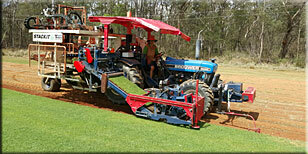 Fertilise during spring and summer. Do not fertlise during winter.